Some people believe that, when it comes to filling meat with more meat, we've reached the peak of culinary achievement. But once again, we're here to convince the doubters: this giant cordon bleu is not for those with a small appetite and definitely not a dish for one person — unless you eat nothing else for the rest of the week. 1. 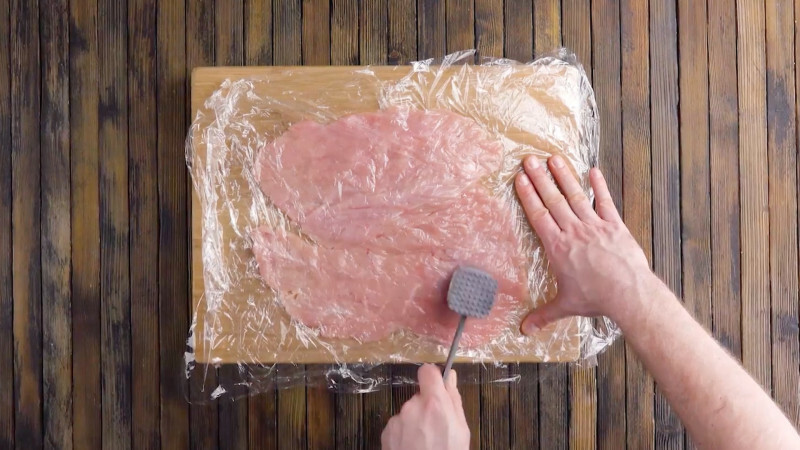 Place the chicken breasts between plastic food wrap and hit them with a meat mallet to form large, thin chicken escalopes. 2. Line two equal-sized rectangular casserole dishes with plastic food wrap. The dishes will help you form the giant cordon bleu. Place two escalopes on the bottom of each casserole dish, and season them with salt and pepper. 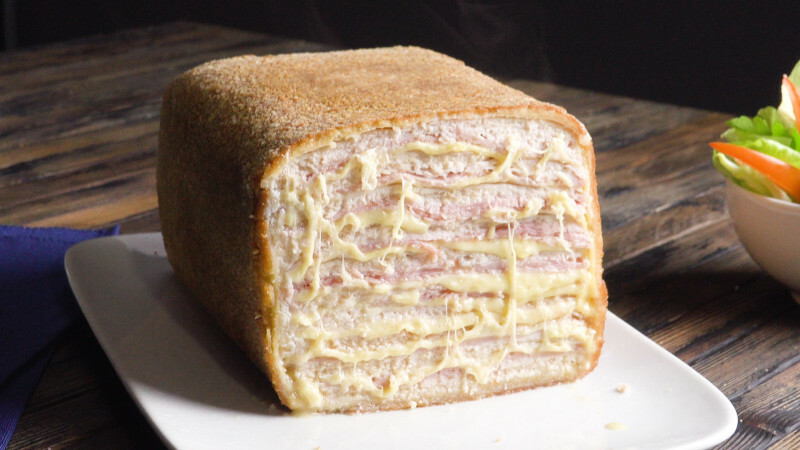 Cover the chicken with a layer of cheese and cooked ham. Fold the protruding edges of the escalopes over the cheese and ham. Proceed by stacking up the ingredients in the same order, until you have used them up. However, when you get to the last layer, you only cover the filling with more chicken escalopes in one of the two dishes. 3. Now overturn one of the casserole dishes on top of the other. 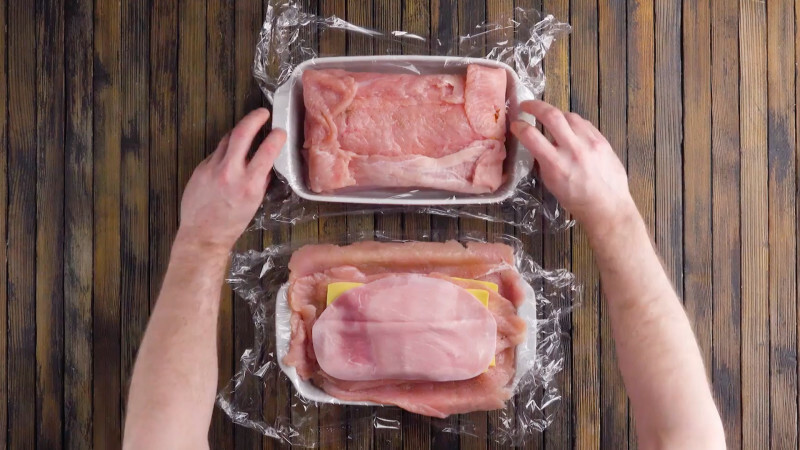 Use the plastic food wrap to help remove the casserole dishes, then wrap both halves of the cordon bleu together in the food wrap. 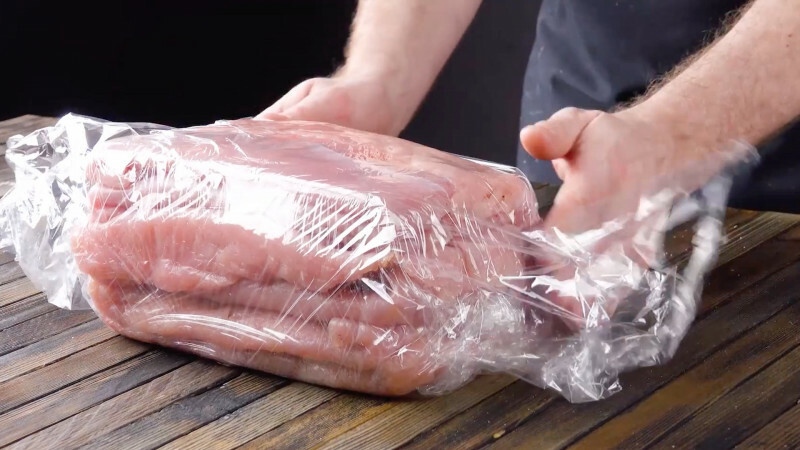 Before you do anything else, freeze the meat for two hours. 4. Now the meat is firm enough for coating in bread crumbs. 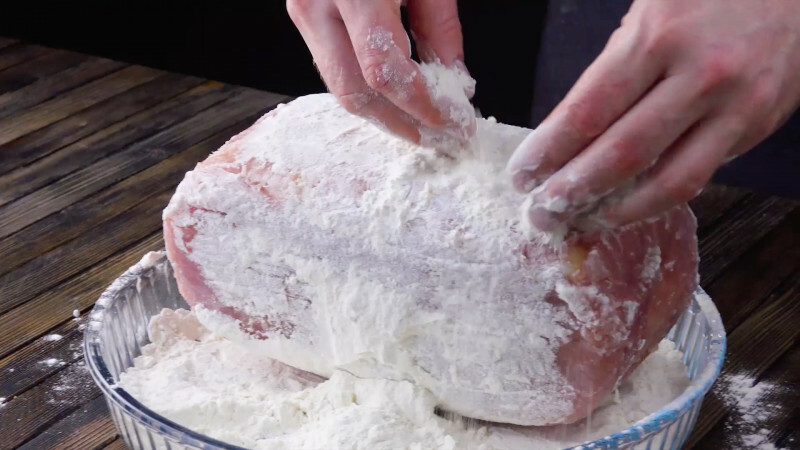 Roll the meat all over in the flour, then the egg, and finally the bread crumbs, until it's completely covered. You can repeat the steps as necessary. 5. Fry the cordon bleu on all sides until the bread crumbs are golden brown. Finally, bake it for 60 minutes at 280°F. Serve the cordon bleu in thin slices. As a side dish, you can throw together a colorful salad. Making this colossal meal is an achievement you can be proud of. Not only have you created a masterpiece, you can enjoy the astonished gasps of your guests that'll come with it. You can find the recipe for the Roulade Roast featured in the bonus video here.